Nose: beautiful and simple, flowery fresh with some honey sweetness and fruity hints of sweet apricot and orange, malt in the background and an earthy and dry nut note typical of Glen Moray, the oak is noticeable with a subtle herbal note. 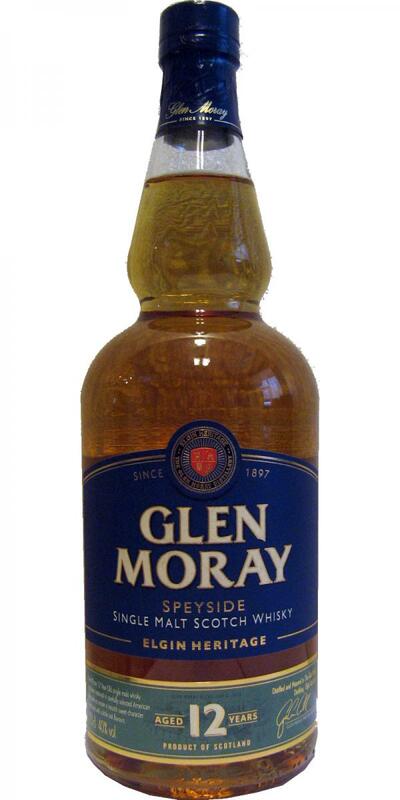 No special depth but if you like the character of Glen Moray a great nose. Taste: light (only 40% thin) and creamy with some youthful alcoholic tinges, honey, crushed apricots, some caramel and malt and then backwards and on the finish dry sweetness, spicy honey, earthy aromas and bitter oak ( old wood). The finish is woody and earthy with medium length. Oh yes you have to like it - because you realize the use of multiple used barrels but bad that is not now but it just can not keep up with the nose. Conclusion: nice entry into the Glen Moray Range which brings the character of the distillery quite well. The twist in the finish could be a bit daunting for beginners. N: A nose with no beef, no balls. T: Takes a while for the liquorice/ aniseed bubblegum to come through.